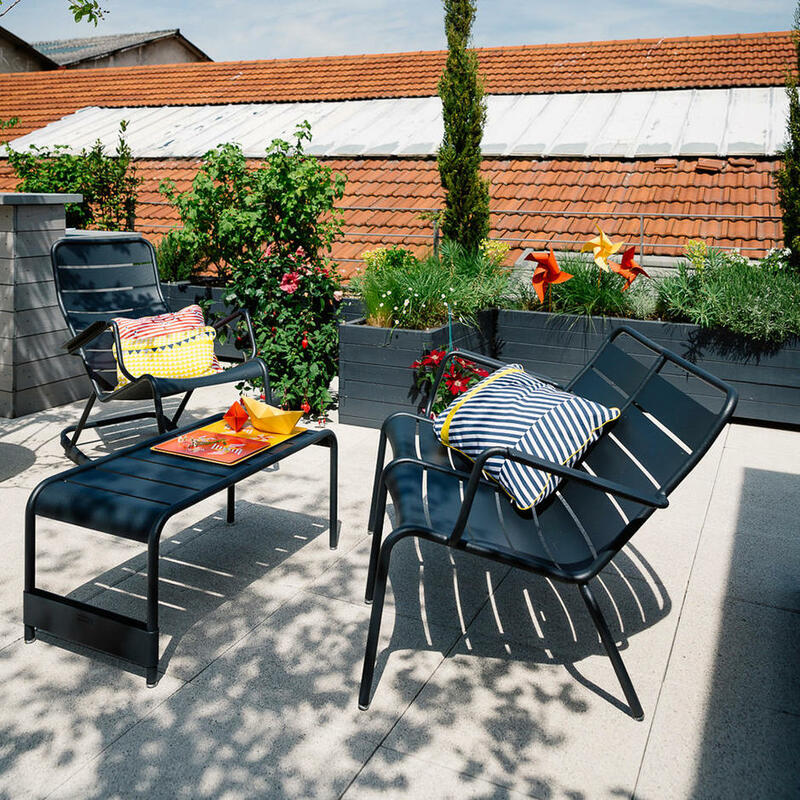 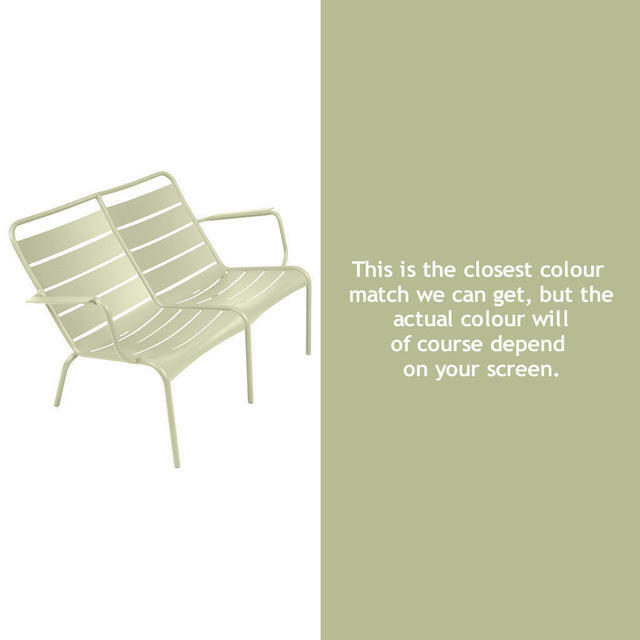 Influenced by the Luxembourg gardens in Paris these chairs are one of Fermob's classic ranges. Beautifully designed stacking Duo Low Armchair to seat two people, perfect if you are feeling especially romantic. 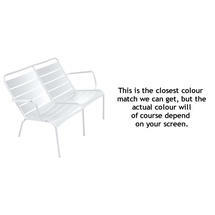 Single low armchairs are also available, see here. 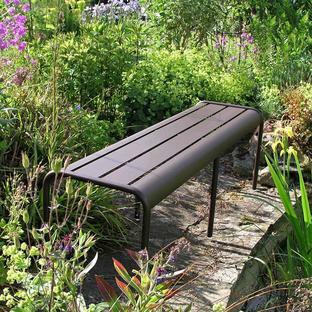 Low footstools/occasional tables are also available, see here. The shaped aluminium slats on the backrest and seats make the chairs very comfortable. 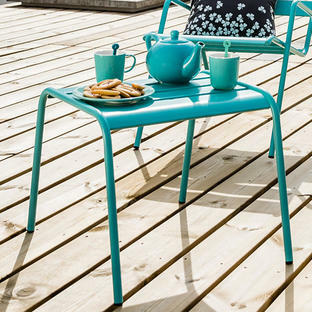 This product looks great paired with the Luxembourg low tables as seen in the image and in 24 different colours to suit your outdoor space. 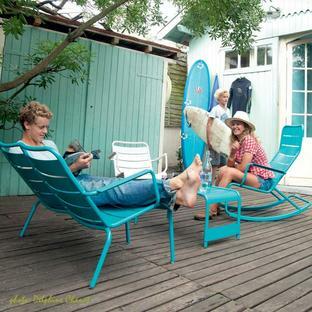 Also in this range are Chairs and Armchairs, Tables and benches and also the Luxembourg Rocking Chair. 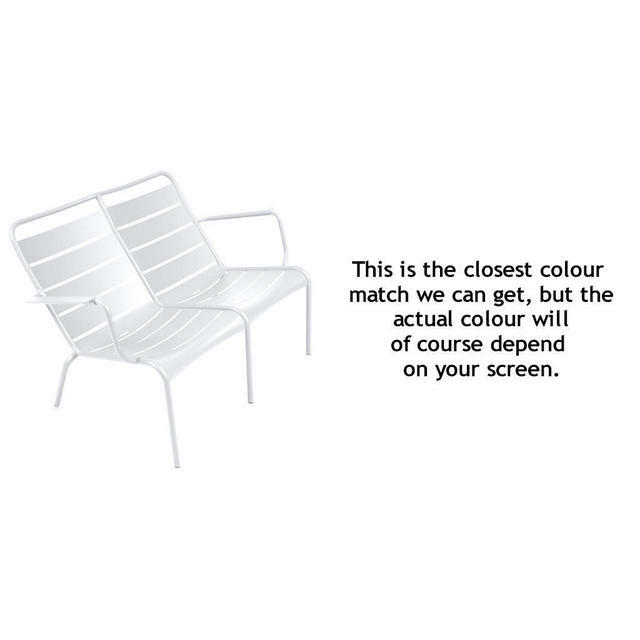 The seat and backrest and armrests are made from curved aluminium slats.